Sponges are used for cleaning, smoothing, and decorating greenware and pottery. 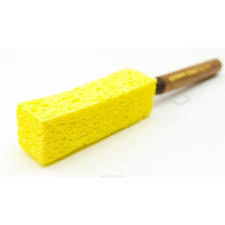 The Spongette Tool features a soft cellulose sponge mounted on a convenient handle. The K33L is designed especially for working in deep vessels.